The Amur leopard is in grave danger of extinction due to numerous factors, including habitat degradation, poaching and prey depletion, inbreeding and disease, and competitive interactions with tigers. Ongoing development programs including gas pipeline plans, improved and expanding road networks, railway development, expansion of the electricity grid, and mineral/coal extraction are reducing and degrading available Amur leopard habitat. Overharvest of timber and illegal logging are also common. Fires are probably the greatest threat to leopard habitat. Fires rarely occur naturally in this part of Russia, which has high rainfall totals and lush forest vegetation. However, annual human-caused fires are turning forests into grasslands and savannahs, which are not suitable for leopards. Research conducted by WCS, Tigris Foundation and Tigis has shown that in the period from 1996 to 2003, 46% of potential leopard habitat in Russia burned at least once (3,426.2 km2), and between 12 and 22% of this territory burned each year. These are probably some of the highest percentages in all of Russia. 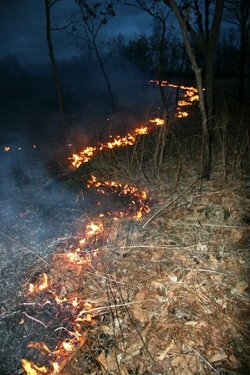 Such frequent fires, even though they are only brush fires, slowly kill off existing trees, and prevent seedling trees from establishing themselves. Leopards are poached for their skins and possibly bones as well. Hunters poach leopards to eliminate competition for deer and wild boar, and locals sometimes kill leopards in retaliation if leopards prey on domestic animals. Poaching of leopard prey is potentially a more significant threat than poaching of leopards themselves. The leopard’s range is easily accessible and includes very popular hunting grounds, leading to an abundance of hunters and poachers in the forest. 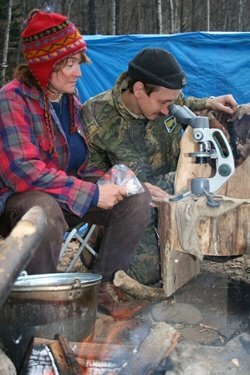 Poachers include relatively rich Russians as well as poor local villagers. The Amur leopard population has low genetic diversity, which could affect reproduction rates and survivorship of the population. There are also a host of domestic and wild carnivores co-existing with leopards that could be disease carriers and transmitters. Biomedical analyses conducted by WCS for three leopards in 2006-07 indicated initial evidence of potential inbreeding-associated health problems: all 3 individuals had significant heart murmurs, and one leopard had greater than 40% abnormal sperm production. However, more research is needed to understand the risks of disease or inbreeding for this sub-species. While leopards and tigers co-exist throughout Asia, the stresses of living in a northern environment may make competition between tigers and leopards a significant factor for continued leopard survival in Russia, creating a difficult conservation challenge. Research indicates some spatial separation between leopards and tigers, suggesting that leopards may avoid areas inhabited by tigers. There have also been documented kills of Amur leopards by Amur tigers. Learn more about Amur leopard ecology.